Fringilla montana Linnaeus, 1758, Southern Italy. 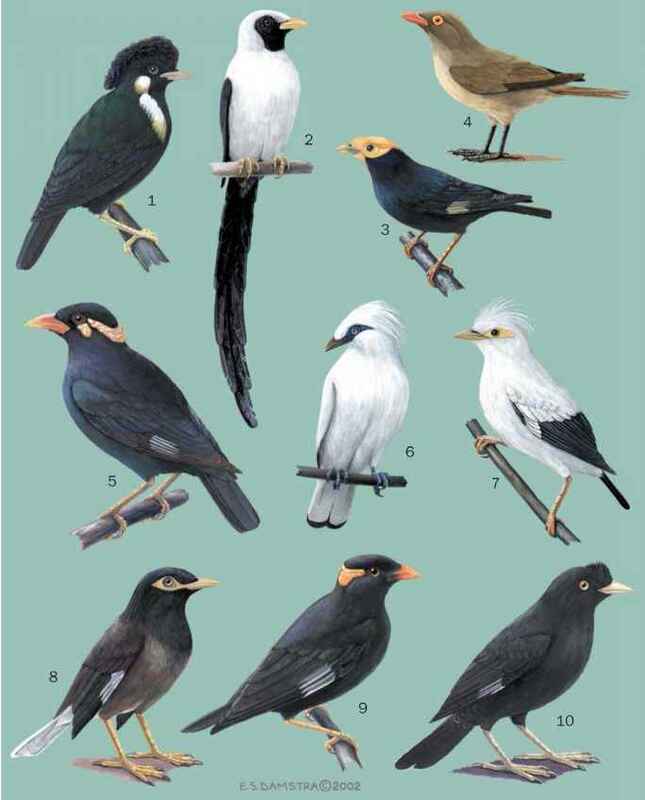 Seven subspecies. English: Eurasian tree sparrow; French: Moineau friquet; German: Feldsperling; Spanish: Gorrión Molinero. 5.5-6 in (14-15 cm); 0.6-1.0 oz (17-28 g). Small sparrow with particularly neat appearance. Sexes alike. Head chocolate, cheeks white with a prominent black patch, and small black bib. Juvenile paler. 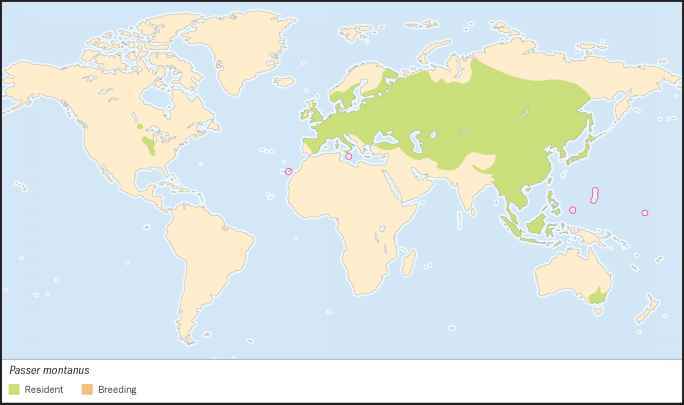 Widely distributed in Europe and Asia; small introduced populations in North America and Australia. Built-up areas in the east, more in open country with trees in the west. A gregarious, familiar bird in the east, becoming shyer and more unobtrusive in the west. Seeds and a wide range of invertebrates during the breeding season. Preferred nest site is a hole in building or tree, though also builds free-standing domed nest in trees. Up to five clutches of two to five eggs. Incubation 11-14 days; fledging 14-16 days. Both sexes take part in breeding activities. Not threatened. 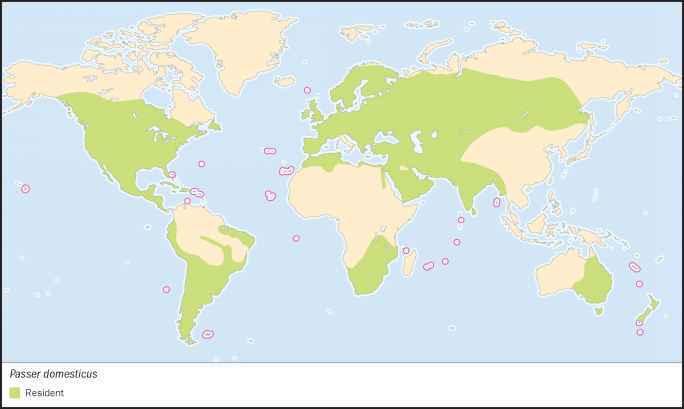 Widely distributed and numerous.